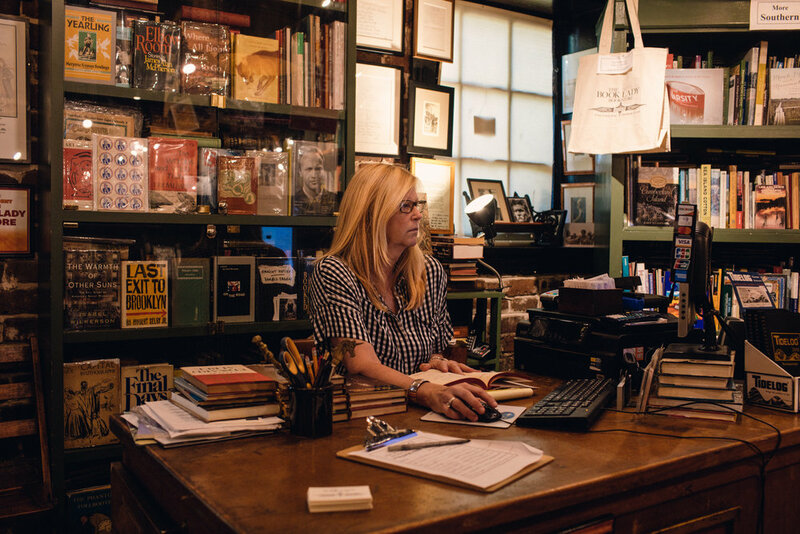 Begun in 1978 by the inimitable Anita Raskin who passed away in 2002, the expanded Book Lady Bookstore is Savannah’s only full service independent bookstore offering a broad range of new, gently used, rare, and out-of-print books. Joni Saxon-Giusti, who worked at The Book Lady with Mrs. Raskin for many years, purchased and revamped the business in 2002, and has overseen the exponential growth and relocation of the shop. We are very active with our community partners, collaborating with Savannah's Coastal WildScapes, Flannery O'Connor Childhood Home, Georgia Historical Society, Georgia Poetry Circuit, Ossabaw Island Foundation, Penny Candy Books, Southern Poetry Review, Seersucker Live, Senior Citizens Inc.’s The Learning Center, Savannah State University, Wormsloe Foundation, and many other nonprofits in Savannah and the region, including the Georgia Antiquarian Booksellers Association and the Southern Independent Booksellers Alliance. So if you don't see us in the shop, you'll probably see us selling books somewhere around town!